Not that I have very much time to read this month, but I thought I’d let you know what I am reading during my minuscule free time. This is the third of the Finishing School books. Sophronia is in her second year of school learning more ways to, ehm, finish an opponent. She has a new favorite weapon, a bladed fan, but also more challenges. Soap, her dearest non-female friend has been showing a disturbing tendency toward romantic feelings. Sidheag, Lady Kildair, is mysteriously missing from school. And Lord Mersey, Sophronia’s erstwhile beau, is being terribly confusing. And that’s just the first few chapters! This series is a delightful steampunk romp. 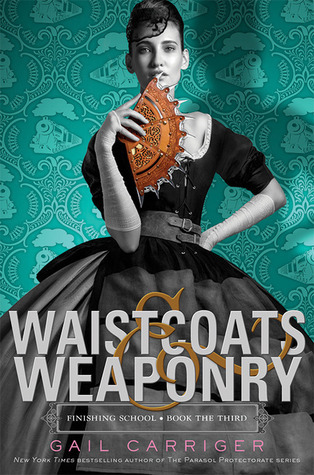 It’s also a YA prequel to the more adult Parasol Protectorate series that Gail is justifiably famous for. I’m enjoying it tremendously, albeit slowly. I won’t recap the plot here, since I’ve talked about this book several other times. It’s a dark urban horror sort of a book. It creeps me right out to be honest, in part because it is so well narrated. The POV switches between several characters, all of whom are given very distinct voices. Damian Lynch does a lovely job. I’m also not very far into this one either, just in Chapter 8. I can’t listen to it right before bed or I’ll be up all night. 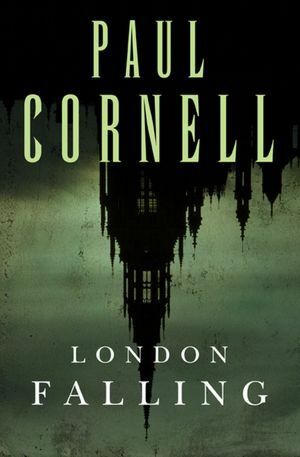 If you’re looking for a spooky, gets-under-your-skin sort of read, I recommend this one! And The Severed Streets, the sequel is already out, so there’s no waiting! What’s on your bookshelf these days?